18×24″ silk screen print designed for Spoke Art Gallery‘s Quentin vs Coen gallery show. Was very excited working on these as I’ve been dying to do an altered run for a long time. 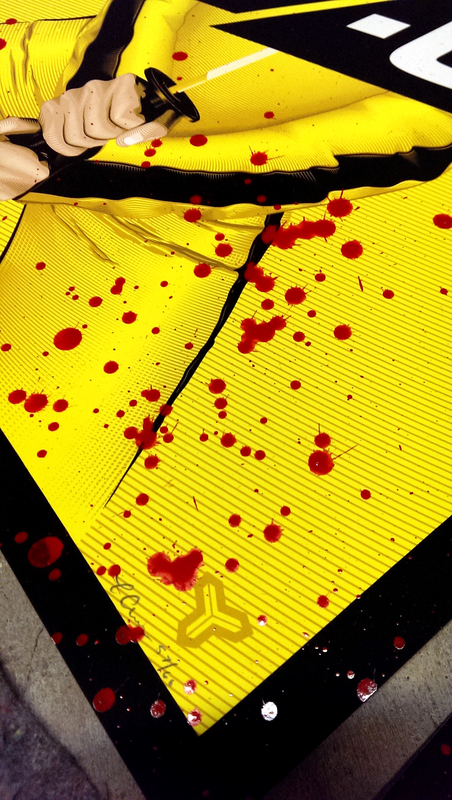 Each print has been individually embellished with blood splatter! The gloss paint dried beautifully so it actually looks like wet blood. Available through Spoke Art following the show’s opening on July 5th.